Hearing aids provide excellent audibility for children with moderate-to-severe hearing loss, but for some children, the benefit of hearing aids is limited compared with what implants can provide. CIs have the potential to provide equal audibility for soft sounds across the entire speech frequency range, an achievement not always possible with hearing aids. 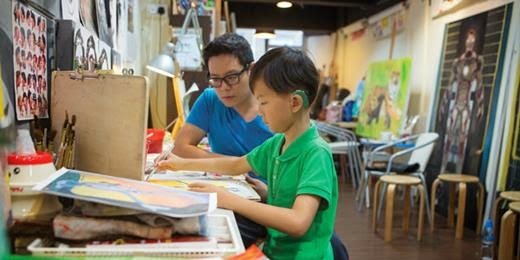 Nine-year-old Ethan was born with a bilateral moderate-to-severe sensorineural hearing loss and has worn behind-the-ear hearing aids since he was a few months old. He earns high grades in regular education, speaks intelligibly, and has age-appropriate speech and language scores. Though he generally perceives speech well, he struggles to discern novel words with high-frequency speech sounds, and shows significant difficulty hearing in noise. He also lacks the speech clarity of other children with similar hearing loss—his voice is loud, and his fricatives and affricates are distorted. Even though Ethan’s hearing aids are helping, could a cochlear implant allow him even better access to sound, and make listening and talking easier for him? 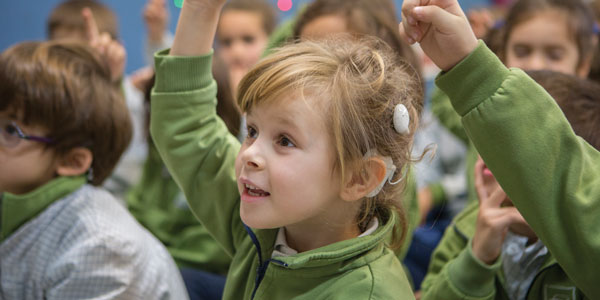 Just five or 10 years ago, cochlear implants were thought to be suitable only for children with very severe or profound hearing loss. Because he is progressing with his hearing aids, Ethan would likely not have been considered a good candidate for implantation. The change is due not only to relaxed implant criteria, but also to the fact that children with CIs are functioning exceptionally well in difficult listening environments, meeting age-appropriate goals for speech, language and academics, and listening to more complex stimuli such as music. It is possible that in some cases, children with CIs may surpass the progress made by children with hearing aids. When testing and observation suggest that the benefits of a CI may be superior to the child’s current functional performance with well-fit hearing aids, that child would be considered for an implant. However, parents of successful hearing-aid wearers may be reluctant to opt for CIs because of risks such as loss of residual hearing. I often hear: “She is doing OK with her hearing aids.” Despite the potential benefits of CIs, this concern is valid, and it is also well-established that the earlier CIs are implanted, the higher the chance for success. Therefore, implanting a child who already receives benefit from hearing aids may not seem to be a reasonable recommendation, unless there is a sudden change in hearing. For children ages 2–17, the criteria for CIs include a severe-to-profound hearing loss and limited benefit from binaural amplification, according to ASHA policy documents. “Limited benefit” is demonstrated through performance with hearing aids in the sound booth using tones and word-recognition tasks presented in an auditory-only format. When children meet this criteria, the decision to implant may be easy at any age. In many cases, however, older children with binaural amplification have benefitted from hearing aids for many years. They may have received auditory-based therapy and possess excellent speech and language skills. They often fall outside of the traditional candidacy criteria in performance on word-recognition tasks. Their success in that area may be due to excellent audibility with the hearing aids, familiarity with the task, and well-developed top-down processing that allows them to fill in the gaps. In a quiet setting, these students may appear to function quite well. However, in comparison with children with CIs, students with severe hearing loss and hearing aids may be less able to detect sounds at all frequencies (especially high frequencies), may have limited access to soft conversational speech, may experience more difficulty listening in noisy environments, and may exert more listening effort to communicate in a mainstream environment. In my experience, this functional difference in performance between groups is often noted by parents and educators. The decision-making process is unique to each family. Ethan and his parents learned what the implant was, spoke with many children and adults with CIs about their experiences, and investigated surgeons. Ultimately, they decided to go forward with the procedure. The initial transition can be a jolt. After implantation, at his initial CI stimulation in December 2014, Ethan said, “I can’t understand you! Can I put my hearing aid on?” Even though he was able to respond with just the implants, he disliked the sound—it was an emotional appointment. A week later, however, after using only his cochlear implant processor, he was able to understand speech with no visual cues. Today, his speech perception of novel words is excellent, his speech clarity has improved, and the volume of his voice has decreased. Ethan’s prognosis of being a successful CI user is excellent. Some families may opt for a second implant. Eight-year-old Farah is a bilateral CI user. The decision to implant her first ear was stressful, but clear-cut. Farah had worn bilateral behind-the-ear hearing aids successfully soon after birth. Her audiologist, speech-language pathologist, and parents began considering a CI when Farah was 4—they were concerned that although Farah had good access to speech and language, her abilities had plateaued. The choice was solidified following a gradual drop in Farah’s hearing that moved her from borderline to well within the CI candidacy range, and the family decided to pursue a CI for her first ear at 5. This initial CI decision was straightforward, but the decision to implant the second ear was more complicated. Farah was extremely successful with her first CI and became a bimodal user, wearing both her speech processor and hearing aid during all waking moments. For her hearing-aid ear, she was a borderline candidate for a CI; she had a moderately severe to severe sensorineural hearing loss and her word recognition scores were high with the hearing aid. The family was concerned that pursuing a CI in this ear might sacrifice the residual hearing she had, leading to more difficulty hearing in the future. Farah used an FM system, performed well academically, and was socially active in her mainstream elementary school. After two years of using the initial CI, Farah noticed she had more difficulty understanding soft speech and speech at a distance with the hearing aid, and that her overall ease of listening with the implant was significantly better than with the hearing aid. Farah was considered a successful bimodal hearing aid user, but could she do better with a second implant? The team decided she could. Farah received her second CI at 8, and immediately following activation, she completed open-set speech-recognition tasks, even though the sound was “funny.” Following three weeks of regular programming sessions and therapy focused on the “new” ear alone, she had improved word-recognition scores and was wearing and relying on her second implant regularly. 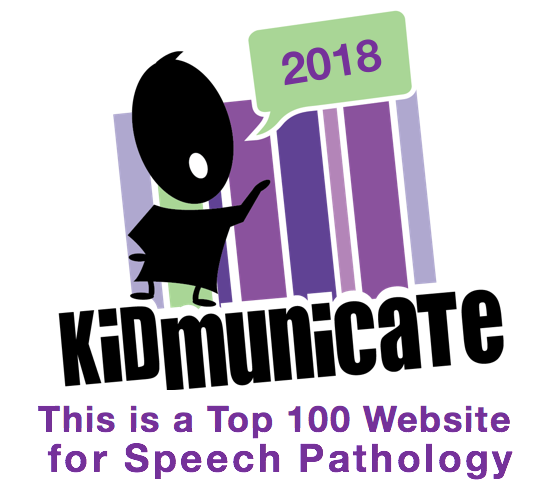 For many children, a CI results in better audibility of soft high-frequency sounds such as /f/ and /s/, which can affect speech perception, speech production and a child’s ability to perceive and use grammatical markers in running speech. Access to more sound also can mean enhanced bottom-up processing: Because the signal is clearer and more robust, students may need to rely less on top-down processing, leading to less listening effort and less “filling in the blanks,” and enhancing overall ease of listening. Cochlear implants can provide equal audibility for soft sounds across the entire speech frequency range, an achievement not always possible with hearing aids. Implanting later in a child’s life results in new challenges. At older ages, children have more control over use and retention of a device and the environments in which they are listening. And because they have had hearing-aid experience, they will form immediate opinions regarding sound quality. As a result, it is crucial to establish a solid rehabilitation plan ahead of time with the child and family. The following supports will encourage acceptance and enhance success for the newly implanted ear. Pre-surgical counseling and support. It is important that the family understands the risks of implanting—including the possible loss of residual hearing—and the possible benefits. Current surgical techniques facilitate preservation of residual hearing, but it is not guaranteed. Counseling on realistic expectations is also critical. Initially, sound through the implant may seem distorted, annoying and dissonant, and the child may resist wearing the CI because of the difference in sound quality. The family and the child need to understand that this is a normal part of the process and that perseverance is essential. Strategic scheduling. It may be beneficial to schedule the cochlear implant surgery so that the initial stimulation is during the summer or a school vacation. This timing allows the school-age child to use the processor by itself for longer periods of time in environments that require fewer auditory demands. A concrete retention plan. If given a choice, children may initially prefer use of the opposite ear (hearing aid or initial cochlear implant) alone. But from the day of the initial stimulation, the new CI should be worn all the time with the contralateral device added as the situation demands. During academically and socially demanding situations, both devices should be worn. 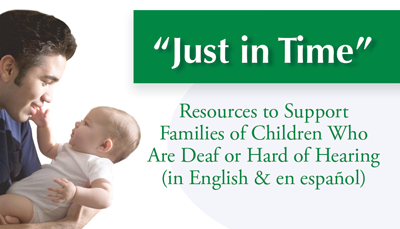 This transition can be difficult for the parents to enforce—they need support from the team. Audiologic rehabilitation. As soon as the new implant is activated, students must participate in audiologic rehabilitation to reinforce progress and build confidence. It is critical that the focus be on what the student is already able to do rather than on what the student is missing. The importance of building confidence—beginning at the initial stimulation—cannot be overstated. Because of their previous auditory experiences, this group may show rapid improvement in speech perception, but lag in confidence and acceptance with the new device. Regular programming sessions and subsequent hearing aid adjustments. 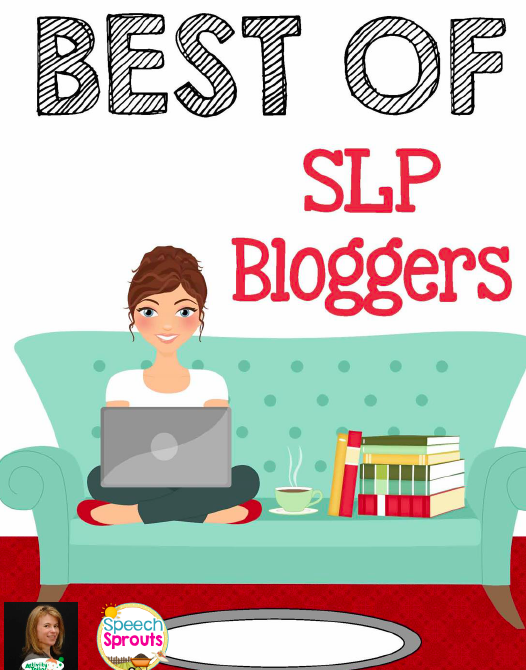 The audiologist and SLP should follow the child closely. To maximize CI performance and overall speech perception in the bimodal/bilateral condition, students require adjustments to their older device in conjunction with new CI programming. Family support. In-clinic support from professionals and support from other families and children facilitate the transition to the CI. It should be noted that CIs may not be the best option for many children and their families, espcially if they do not have a strong support system in place. For an older child to be successful, CI implantation requires extensive pre- and post-implant counseling, professional collaboration, realistic parental and child expectations, and appropriate post-implant audiologic rehabilitation. Ethan and Farah were already excellent hearing-aid users, successful in a mainstream environment, and functioning well socially. The CI was considered because they were struggling more than their peers who use CIs. Functional testing in quiet and in noise, in addition to the audiogram and word-recognition testing, supported candidacy in these cases. 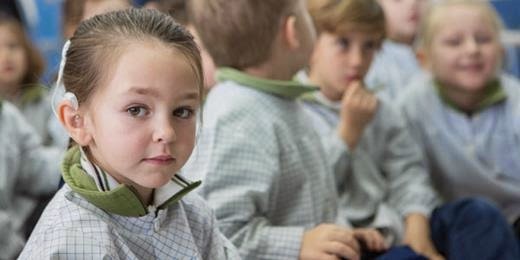 Both families observed other students with CIs and indicated there was a noticeable difference in “ease of listening” in both quiet and difficult listening situations, compared with what their child experienced. 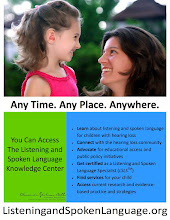 It is important for professionals working with children with hearing loss to understand that although speech perception and detection testing provide valuable information, for some students using hearing aids the question may be, “Can this child do even better?” When the answer is “yes,” it is not too late to recommend CIs.